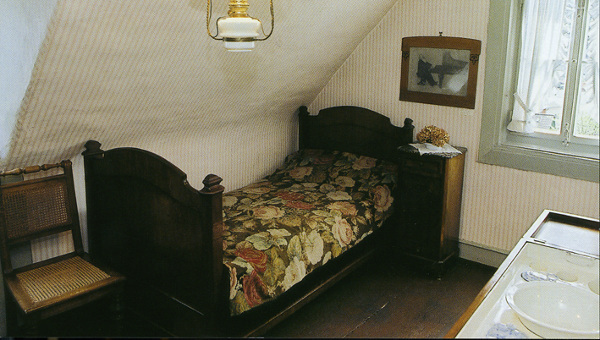 In the summer months of the years 1865 to 1874, Johannes Brahms occupied the attic room in the shingle-covered house of the widow Clara Becker. Here he found the necessary calm and seclusion for composing. Many of his famous works originated in the “pretty house on the hill” as Brahms called it. 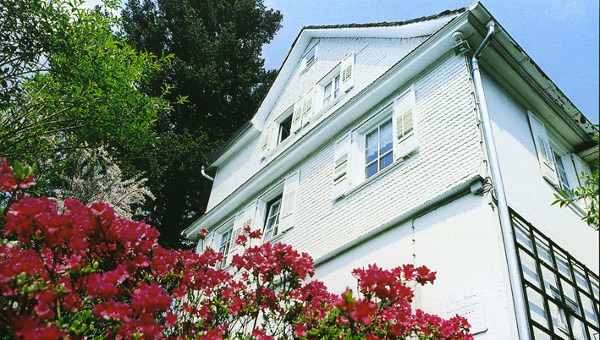 The Brahms House – built around 1850 – is the only residence of Johannes Brahms still preserved unchanged today. 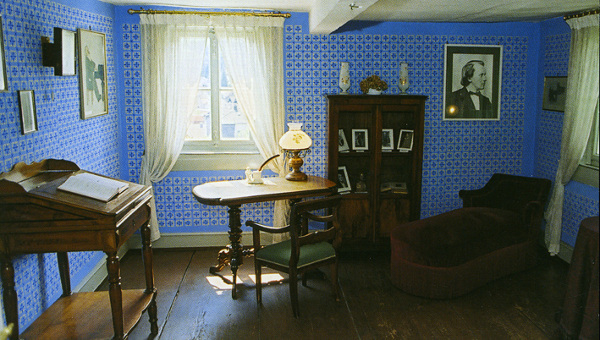 After acquisition and renovation of the old house by the founding fathers of the Brahms Society of Baden-Baden, the rooms occupied by Johannes Brahms were established as a museum with furniture and artifacts from the middle of the 19th Century. Photo documentation, facsimiles, letters, and the busts of Brahms and Clara Schumann among other things are on display in an adjoining room.